Directions In a medium bowl, mix the oil, soy sauce, vinegar, lemon juice, Worcestershire sauce, mustard, garlic, and ground black pepper. Place meat in a heavy duty zip lock bag. 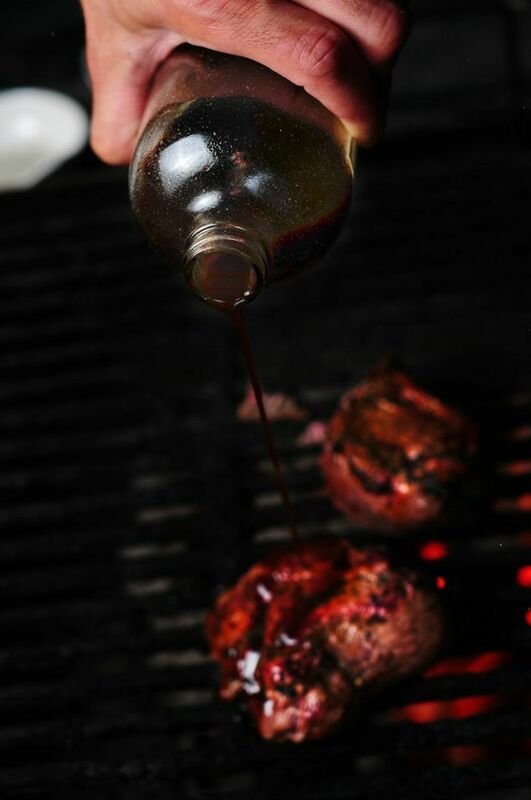 Pour marinade over the steak and press as much air out of bag as possible before sealing. Refrigerate for 6 hours. Preheat grill for medium-high heat. Oil the grill grate. Place steaks on the grill, and discard the marinade. Grill meat for 5 minutes per side, or to desired doneness.